Life Awareness Program Yoga retreats. and yoga courses. 1 July - 15 September there will be yoga classes and yoga courses held in Sagres. Surrounded by unspoiled beaches and nature. This is a week to to develop health, strength and happiness by doing yoga, enjoy the wild coastline and go for beautiful walks in the national park. 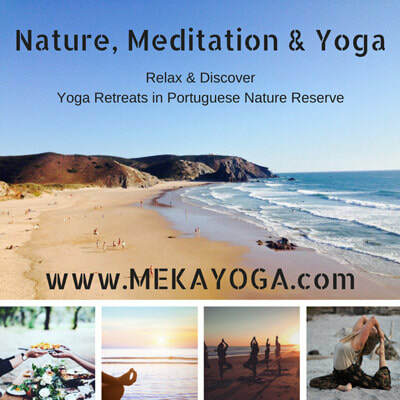 Yoga courses and open classes in SW Portugal, Sagres. Several yoga courses and classes for all levels. Come join some sessions with us and enjoy the wonderful surroundings of SW Portugal. 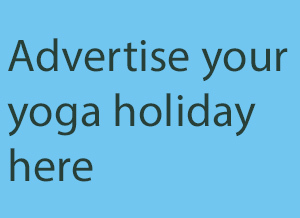 GoLearnTo.com are wellbeing holiday specialists with yoga holidays and Pilates holidays in Spain, Turkey, Italy, Morocco, Egypt, Greece, Thailand and more. Also yoga and surfing, cooking, Reiki or diving. Visit GoLearnTo.com or call 08456250445. Roffrey Park yoga retreats with Patricia Ezechie. Yoga, workshops, all rooms single ensuite, swimmingpool, gym, fabulous grounds and excellent facilities with food prepared from on site organic kitchen garden. 1 hr from London. prices from £425pp. Visitwww.yogasiromani.com/retreats.aspx, call 07710 302611. Self-Restore through yoga, heavenly food, own rooms and poolside resting. Morning Vinyasa practices, afternoon releasing - carefully choreographed for a transformative experience. Supportive teachings with take-away tips for the modern yogi. Airport transfers inc £585 shared, £649 solo, full board. Life Awareness Program Yoga retreats. Come and relax in a beautiful and rural farm house and enjoy daily yoga classes, meditation, breathing exercises. Have healthy locally grown organic food and enjoy a fantastic swimming pool nearby in your free time. You can also choose to have a Reiki treatment, an Italian cooking class or a massage. Four refreshing days of yoga, writing and walking in the Portuguese sunshine. All levels of yoga and writing experience welcome. Prices from 250-380 Euros. Serendipity Yogi's presents a retreat in rural landscape. A energising and fun weekend of Hatha, Yin, Vinyasa practice, plus optional theory sessions. £275 sharing, £315 for a single room, inclusive of meals. Please contact helloserendipityogis@gmail.com. Namaste. Experience different styles of yoga (Hatha, Yin and Aerial) with the combination of Chinese Medicine 5 elements: Wood, Fire, Earth, Metal and Water. Full board including healthy yogi meals, sightseeing activities and massage. 7 day Yoga Retreat to find peace of mind, health and happiness. A yoga villa with beautiful yoga garden in middle of national park. 14 yoga classes, delicious healthy food and workshops on meditation and breathing techniques. The perfect package to rediscover the true Self, and unwind and recharge in Nature. Sharpham House country estate yoga holiday Europe weekend in Devon. A special place to find peacefulness, deepening your yoga to rejuvinate. Includes all vegetarian meals, four 1.5 hour yoga classes and mediations. Four Seasons Yoga Holidays. The ultimate luxury wellness escape for you to unwind, held in a large Spanish villa, uninterrupted views over the beautiful landscapes of the Sierra Sur. We offer daily yoga, mindfulness relaxation, acupuncture , massage, wild swimming, Ayurvedic inspired food session and walks in the mountains. 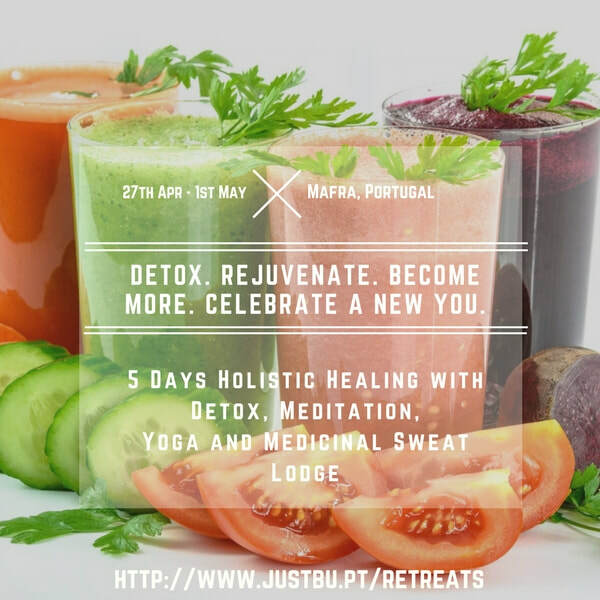 This retreat is a perfect opportunity to take a break from a daily routine, delve deeper into the yoga practice, relax and reconnect with your inner nature, priories and values. Family active retreat in Clare Island retreat centre, Ireland. prices start from 480 euros / adult or 300 euros / child under 16. This includes accommodation, activities and vegetarian food. Camping option available. An adventure for body and mind in the middle of Nature. Find peace of mind, health and happiness.« with personal guidance and twice daily yoga classes. A yoga villa with beautiful yoga garden in middle of national park. The perfect package to rediscover the true Self, and unwind and recharge in Nature. are one in this existence. Yoga retreats in Europe, find your best yoga holiday here online for all months of the year. Whether you are looking for a time to relax, be healthy or want to take time to get spiritual, you can find it here. Listing your retreat is easy and free.